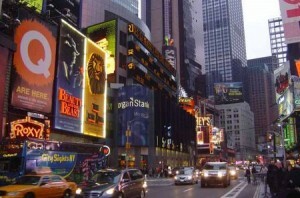 Playbills Vs. Paying Bills is a blog written by actors for actors! We’re here to share stories, bits of advice, and helpful resources that we come across as we pursue acting careers in Los Angeles, New York, and Chicago, the three most competitive entertainment markets in the country. Whether you’re fresh out of college and looking to build a career in acting, or you’re a seasoned performer who wants to reach new audiences and further your brand, we’re here to help. Each of the three major acting markets is alive with its own unique culture, its own rich history, and its own set of challenges for actors. Naturally, we’ve got plenty of stories to tell! Our blog entries deal with everything from auditioning to finding affordable Thai food in town. Some entries talk about the art of acting, while others attempt to tackle the tricky business side of things. The important thing to remember is that carving out a career in acting is a lifelong pursuit! We’ve got to be resilient, well-rounded, and enjoy living life as we go! We certainly don’t claim to know everything. On the contrary! We’re learning and growing right along with you! If you can relate to any of the stories we share, or if you feel strongly one way or another about anything we write, we encourage you to leave your thoughts in the comment section of any of the posts and and let us know! We’re here to engage the acting community and foster dialogue that can help all of us better ourselves as actors! Playbills Vs Paying Bills was founded in 2009 by Ben Whitehair, Emily Beuchat, and Joe Von Bokern with the goal of providing helpful stories, resources, and advice for actors in New York, Los Angeles, and Chicago. Since then, we’ve grown into one of the Internet’s most popular resources for performers of all ages and skill levels looking to further their acting careers! Ben Whitehair (Los Angeles), Erin Cronican (New York), and Joe Von Bokern (Chicago).